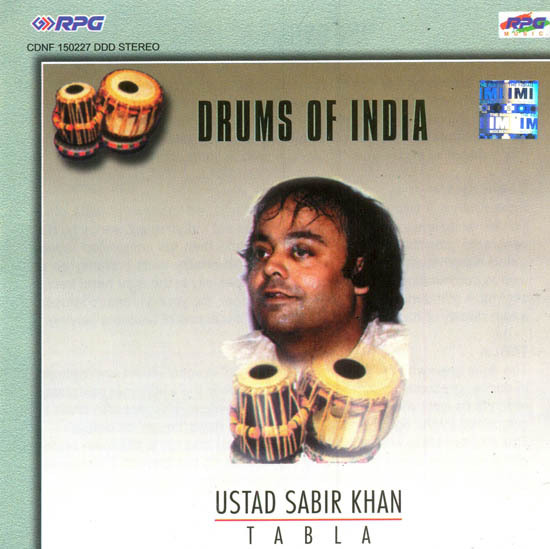 Sabir Khan is a scion of one of the most respected lineages of tabla – the Farukkhabad lineage, established on the map of Indian music earlier by his venerated grandfather Ustad Masit Khan and then his celebrated father Ustad Keramatullah Khan. Sabir Khan’s individually rests primarily on a unique combination of power and clarity, especially in the right hand treble strokes. A gifted musician and music composer, the young maestro infuses a rare quality of harmony into the powerful cadences of his tabla playing. The tabla grew with the development of ‘Khayal’ in vocal and ‘Kathak’ in dance, gradually overshadowing its precursor the traditional pakhawaj, which is co-eval with the esoteric Dhrupad system. This two part drum is comprised by the right hand tabla and the left hand ‘bayan’ or ‘dagga’. The slimmer tabla with its tunable sharp lyrical sounds is the main orator with the base support provided by the sounds on the ‘bayan’. The sounds are lighter, sharper and allow for more lyrical expression.